The Lower Egypt region stretches from Giza to Marsa Matruh along the Mediterranean Sea. Its most popular tourist attractions are the Pyramids of Giza, home to the Great Pyramid. With bustling cities and beautiful beaches, however, there’s much more to do in this region than just visit the ancient sights of Giza. Travel just 20 minutes from Cairo to find the Pyramids of Giza, built approximately 4,500 years ago, when Egyptians brought stones from over 800 kilometers away. The largest pyramid is the Pyramid of Khufu, also known as the Great Pyramid, which is the oldest of the Seven Wonders of the Ancient World. Admire this 139-meter-high structure from the outside, before heading inside to explore its three fascinating interior chambers. The Great Sphinx is 71 meters long. Another popular landmark on the complex is the Great Sphinx, the 71-meter-long lion statue with a human head. 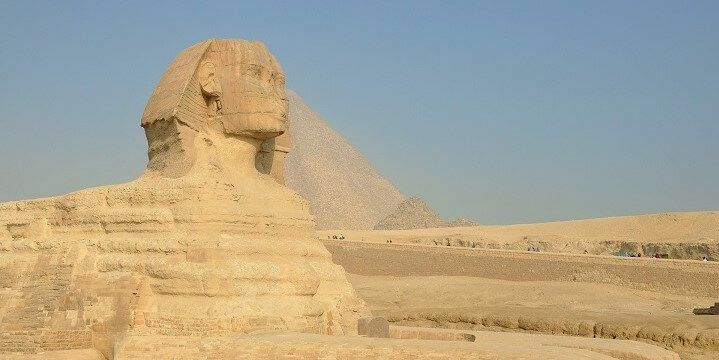 No one knows when or why the Great Sphinx was built, nor why its nose is missing, but you add your guess to the ever-growing list of conspiracy theories. Although not as popular as the Giza complex, the Pyramids of Saqqara, located about 30 kilometers north of Cairo, are well-worth a visit to see the first pyramid built in Egypt. The most famous pyramids on the complex include the 60-meter-high Step Pyramid, which you can’t enter due to safety reasons, and the Pyramid of Unas, which you can go into to see the Central Chamber and Tomb Chamber. The Pyramids of Saqqara are located about 30 kilometers north of Cairo. The complex is home to other unique structures, including the Bent Pyramid, which changes its angle half way up, and the Red Pyramid, a 101-meter-high structure build from red limestone blocks. Cairo is home to many fascinating landmarks, and a wide range of different cultures. Explore the Islamic Quarter, a UNESCO world heritage site, for mosques packed close together, unique shops, and many “hole in the wall” street food vendors. Alternatively, head to Coptic Cairo, also known as the Christian Quarter. The most popular landmark in this district is the Hanging Church. Built on top of a fortress, this beautiful church offers spectacular views, as well as a partially glass floor for visitors to look down into the Roman gatehouse below. 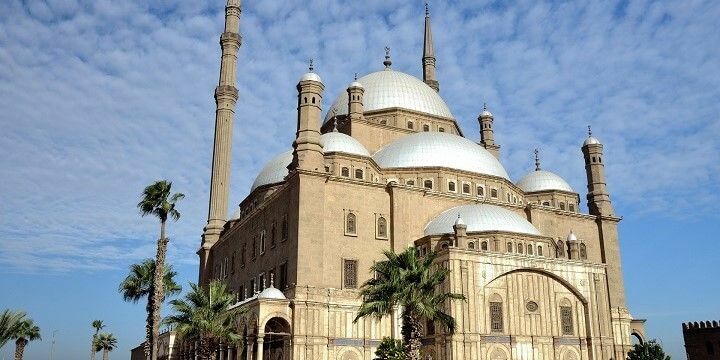 The Great Mosque of Muhammad Ali is one of Cairo's famous landmarks. Don’t leave the capital city without visiting the Citadel, famous for its Great Mosque of Muhammad Ali. With picturesque views and car-free zone, the Citadel is a great place to escape the hustle and bustle of Cairo; however, if you need even more peace and quiet, check out the beautiful Al-Azhar Park, which is just a 20-minute walk from the Citadel. The Mediterranean Port City of Alexandria is located to the northwest of Cairo. It is home to many famous sights, including the Fort Qaitbey, which has guarded the harbor since 1480, and Kom el-Dikka, a Roman theater not discovered until the mid-1900s. 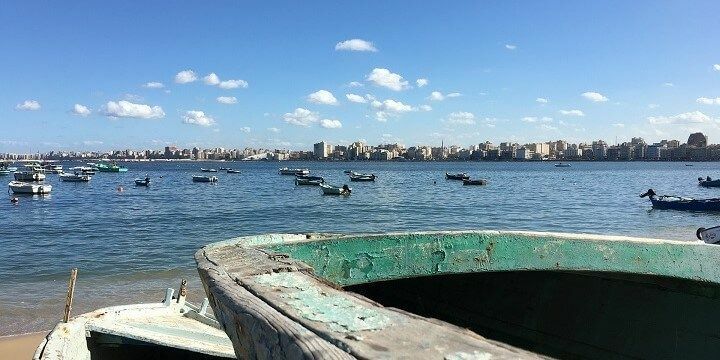 As well as exploring fascinating landmarks, Alexandria is a great place to kick back and relax; for example, in the Anfushi district, which is a great spot for cafés, street food, and fish markets. Alexandria is a port city. Alternatively, take a peaceful stroll along the Corniche, a waterfront promenade, which stretches 16 kilometers. If you’re looking for a livelier atmosphere, head to the city center, where you’ll find Alexandria’s main souq (market), selling souvenirs, clothes, and fresh produce. Lower Egypt’s beaches are located in Marsa Matruh, in the northeastern corner of the region. The most famous beach is Cleopatra’s Beach, where you can splash around in the pool where Cleopatra and Anthony supposedly bathed. The smaller Miracle Beach, with its incredible turquoise waters, is just as beautiful, but is only accessible via a path leading down from a clifftop. The third most-popular beach is Rommel’s Beach, located on the tip of the eastern peninsula. Despite large rocks, this is a great swimming location. It’s also a must-see for history lovers, thanks to its cave system used by the German Field Marshall of the African Corps during the Second World War. 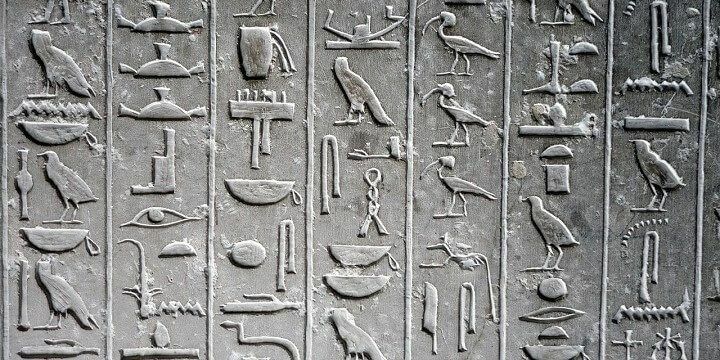 If NextStop24 helped you to choose your next travel destination, we'd be very grateful if you’d search for your accommodation and things to do in Egypt through these links. They're affiliate links, which means that we will receive a small commission for every booking made through them. There are no extra costs for you; you'll simply be helping to keep NextStop24 running. Thanks! Great cities like Cairo and Alexandria, with many things explore in and around them.